Welcome to the 17th Annual Bollywood Festival Norway! Set this year for September 6th to 12th 2019 in Oslo, Lørenskog, Lillestrøm & Sandvika. This year we shall host directors, actors, singer and various other personalities from the film Industry again. Adding this year would be more of event attractions. Together, we are bringing quality productions for our attendees and participants and the continual introduction of new films to inspire individuals and groups to embark in the industry, to write and tell their story. From short films to feature length movies, we stand and give our support to everyone involved from the creative side to production and post-production in filmmaking. We are here to celebrate the art of filmmaking and to honor the filmmakers and various other artists and to support them in promoting their work through our platform. After garnering rave reviews from the Bollywood critics and inspiring people across the globe, film Soorma heads to the Norway Fest.. Diljit Dosanjh's real-life drama, Soorma made its way to big screens on July 13 and now it is all set for Bollywood Film Festival Norway. 'Soorma' became an official selection at the 16th Annual Bollywood Festival Norway 2018, which starts on September 7, and the film will be screened as the opening film of the year. The screening would be attended by the writer & director of the film Shaad Ali. The film, starring Diljit Dosanjh and Taapse Pannu in lead roles, is based on a true story, inspired from the Indian hockey captain Sandeep Singh. Soorma is a story of triumph of the human spirit, about a player who made headlines for his miraculous comeback after facing near-death experiences. It is a lesser known fact that Sandeep has been hailed as one of the world's most dangerous drag-flickers of all time with drag speeds of over 145 km/hr, which led to his nickname, 'Flicker Singh'. 'Soorma' also features Angad Bedi in pivotal role. Produced by Sony Pictures Networks Productions, Chitrangda Singh, and Deepak Singh. 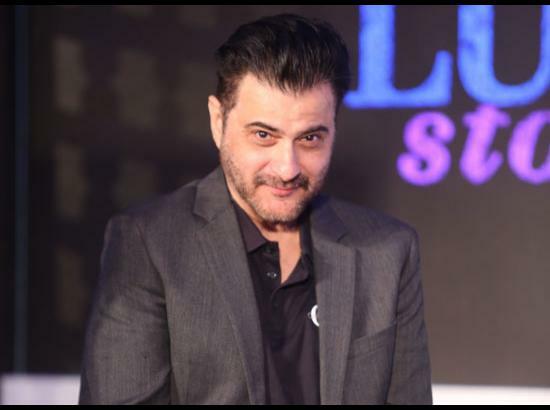 Man with charming personality, actor Sanjay Kapoor a talented actor would be our guest of honour on the opening day on the 7th September 2018. Sanjay made his debut with the movie Prem (1995), followed by a box office hit Raja (1995). Kapoor has worked in movies like, Beqabu (1996), Soch (2002) and Unns: Love...Forever (2007). He was seen in other movies like Om Shanti Om (2007), Luck By Chance (2009) and Prince (2010). Sanjay was last seen in the movie, Shandaar (2015). His latest work was Netlix's film by Dibakar Banerjee's Lust Stories. The film is about a middle-aged couple's love life. Sanjay received lot of praises for his nuanced performance opposite Manisha Koirala. “Middle-aged love story is more complex because that is when the real companionship starts with the person who is living with you for a long time. The excitement and passion of early days goes away by then and then starts the real deep, insightful conversation,” said the director Dibakar Banerjee about his outing in Lust Stories, which also features one short each by Karan Johar, Zoya Akhtar and Anurag Kashyap. Come all let's welcome this charming personality to our country only at Bollywood Festival Norway 2018. The reclusive filmmaker, who rose to fame with Saathiya (2002) would be our chief guest of honour on the opening day. His film Soorma is an official selection at the 16th Annual Bollywood Festival Norway 2018. After having dealt with comedy, musical and action genres in the past, Shaad has opted for a real-life drama with Soorma. The film that stars Diljit Dosanjh & Taapse Pannu is a sport boipic of Indian hockey player Sandeep Singh and an ex captain of Indian national team. Shaad has directed films; Ok Jaanu, Kill Dill , Jhoom Barabar Jhoom, Bunty Aur Babli & Sathiya. On 8th September, we will host MASTER CLASS with this very talented director. Mr. Ali would share his experiences and knowldge on film making. Do watch his film Soorma only at Bollywood Festival Norway. Master-Class details will be updated soon. Keep watching the space. Mar Gaye Oye Loko a Punjabi film part of Bollywood Festival Norway 2018's program. Mar Gaye Oye Loko is an upcoming Indian-Punjabi film directed by Simerjit Singh starring Gippy Grewal, Binnu Dhillon & Sapna Pabbi. Get ready to watch Gippy Grewal turn into a ghost. This time Gippy Grewal’s comedy is not limited to humans alone, but his afterlife also. The trailer of the film has reveived great response worldwide. Watch his comedy drama film at Bollywood Festival Norway 2018. Program will be out soon. A film that showcases Bromance will be screened at the festival this year. Sonu Ke Titu Ki Sweety is a film of two best friends who are more like brothers, that's what we call Bromance. The romantic comedy is directed by Luv Ranjan the Pyar ka Punchnama Fame. Ranjan’s lighthearted approach to counter gender stereotypes in modern relationships makes his take fascinating. This bromance vs romance comedy works as an exciting guessing game to predict who’ll end up as the third wheel — best friend or girlfriend? This means war. We promise to bring you new talent & something different every year. So this year we are bring talent from Hamara India and Sada Punjab, the beest Sufi singer Lakhwider Wadali. Lakhwinder Wadali is one such name in Punjabi Music Industry that’s hailed for its extreme quality of voice as well as the musical family heritage that he belongs to. 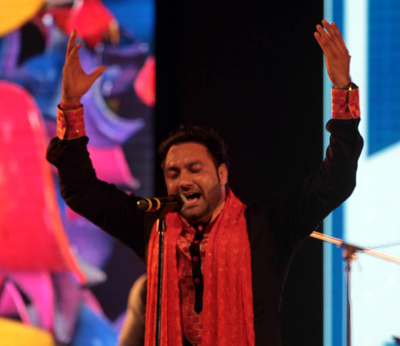 Having received extensive training in classical music from his father Puran Chand Wadali, Lakhwinder Wadali’s tracks represent a unique blend of classical music with contemporary trend. Come everyone on 8th September 2018 & welcome this great talent in Norway & at Bollywood Festival Norway. The Multi-talented Star Javed Sheikh coming to Bollywood Festival Norway 2018! The famous actor Javed Sheikh, director and producer who has devoted his career to the film industry of Lollywood, Bollywood and Pollywood films, will attend the opening ceremony of the 16th Annual Bollywood Festival Norway 2018 on the 7th of September. You may remember him working in Bollywood films like Shikhar (2005) and Jaan-E-Mann (2006). In 2007, he appeared in Namaste London, Om Shanti Om with Shahrukh Khan, In 2008 Jannat & Yuvraaj. Tamasha in 2015 & Happy Bhag Jayegi 2016. He is a star of Pakistani films; Mein Ek Din Laut Kay Aaoon Ga, (2015), Na Maloom Afraad (2014), Bin Roy & Wrong No, Karachi Se Lahore in 2015 . 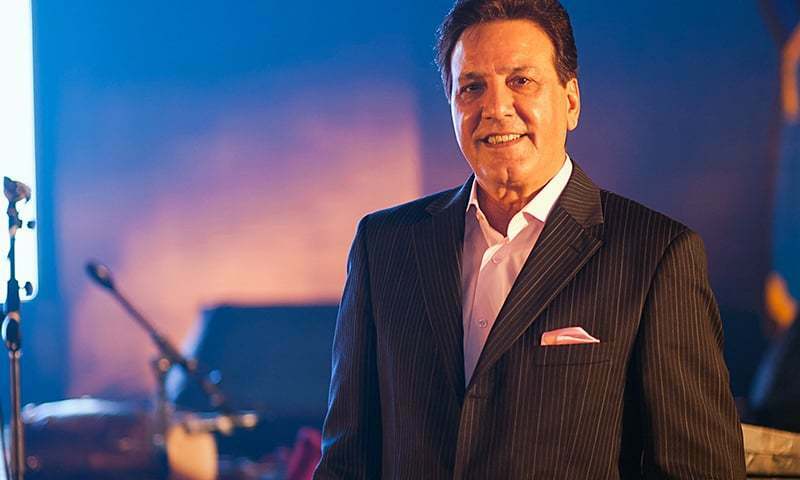 Javed Sheikh has worked in a multi-cultural British Film 'Honour Killings' which was based on the burning problem of UK: Killing people in the name of Honor. Javed Sheikh has done some really powerful roles in Bollywood movies and his much known face in the industry. His latest Blockbuster film “Teefa in Trouble” will be screened at the festival this year. Javed Sheikh has been nominated for Bollywood Festival Award 2018 for his contribution in TV & films in Pakistan & India. Since its establishment the festival has attached great importance to cultural cooperation promoting the culture of peace among the people and countries, knowing all as one and one as all..
Festival Director Nasrullah Qureshi says “Bollywood Festival Norway now reaches Asian countries to screen films and invite guests. We would like to honor guests from parts of Asian country as they all love Bollywood Cinema and culturaltaking the stage internationally. Our aim throughout has been bridging cultural differences between the countries and unite people” We learn much about peace in Norway every year when Nobel peace price given here. Come all & let's welcome this Pakistani star with loads of love on the 7th September 2018 at the Loresnkog Hus Cinema.